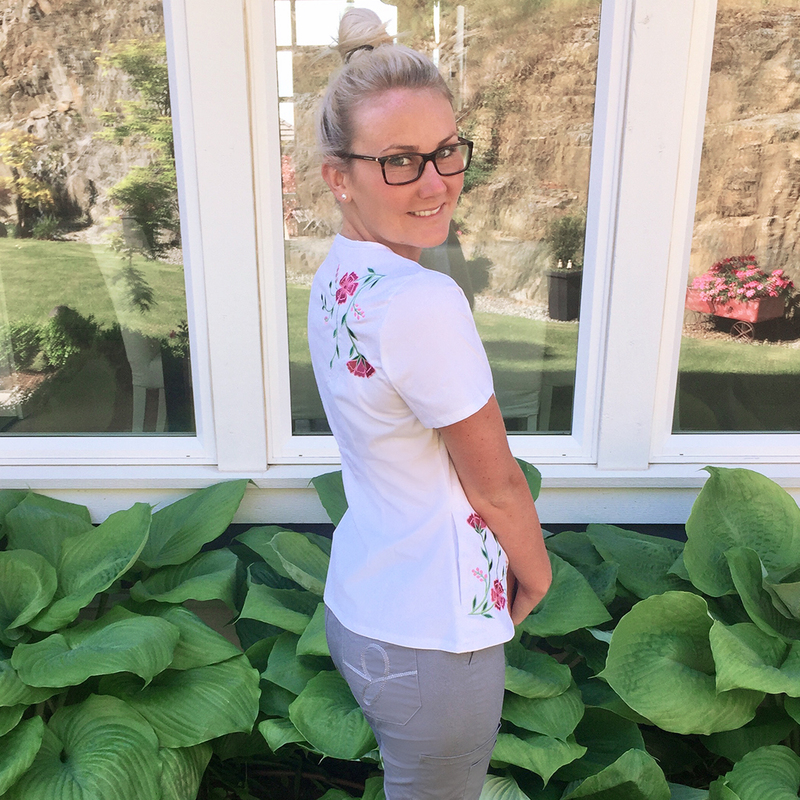 The Embroidered Top, featuring a tailored silhouette and beautiful embroidery detail on both front and back, has quickly become a fan favorite. 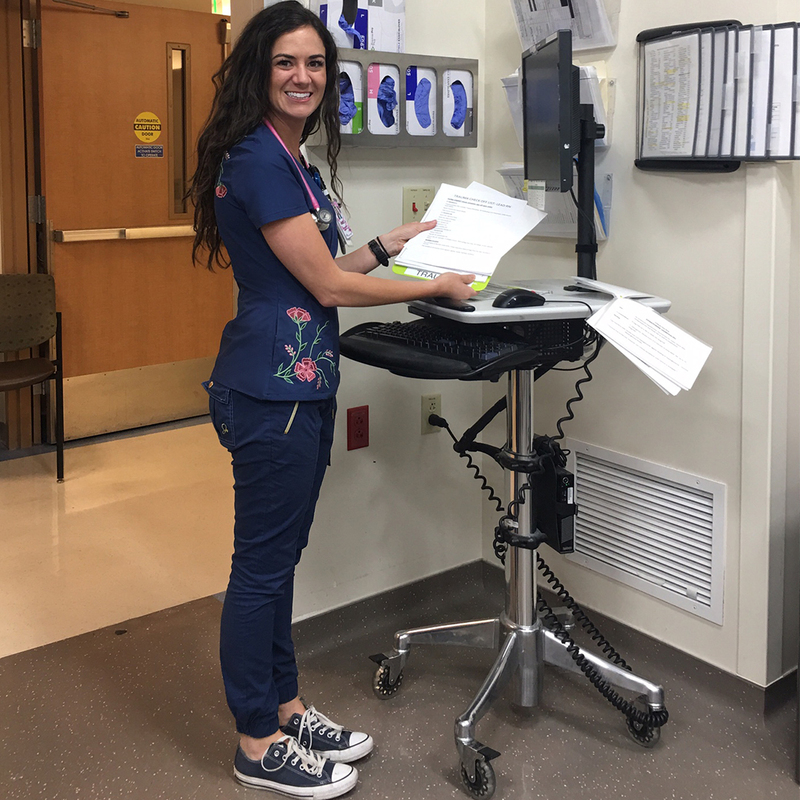 Take a look below at our favorite ways to wear this versatile scrub top – some of the outfits might surprise you. 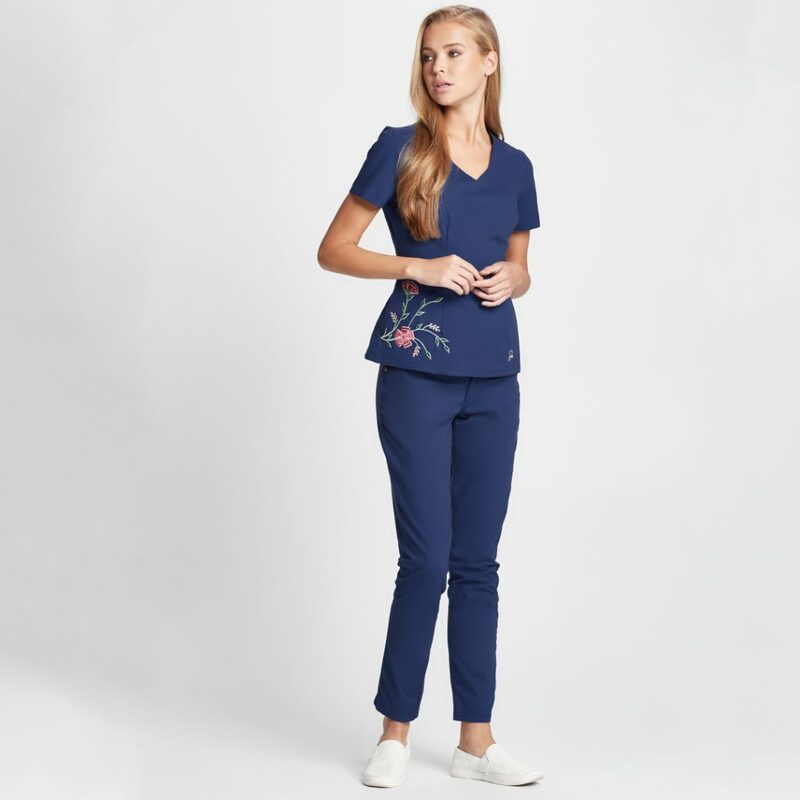 Pair the Embroidered Top with an understated style like the Contrast Ponte Pant (shown below) or the Skinny Pant to really show off the beautiful embroidery. Who says you have to match all of the time (except maybe your employer)? Try pairing the Embroidered Top with a bottom of a different color. The embroidery really ties everything together. While this might not be an obvious match, the Embroidered Top and the Jogger Pant pair perfectly for an effortlessly comfortable look with just a touch of femininity. Share how you style your Jaanuu scrubs by commenting below and/or posting a photo to Instagram and tagging @jaanuubydrneela #fromthefans.